Annie was Charles Darwin’s favorite child before she died at 10 years old. In her writing box were keepsakes that illuminated Darwin’s work and his love for his wife and children. 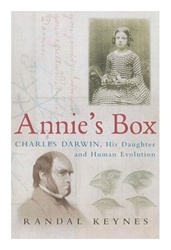 Randal Keynes, Darwin’s great-great Grandson and guardian of the box, uses Annie’s story as the starting point in this book, which makes a major contribution to our understanding of Darwin. Keynes conjures up a world in which great thinkers – including Carlyle, Babbage and George Eliot – were struggling with ideas in science and humanity that shook mankind to its core. At the forefront was Darwin himself, whose thinking about evolution and human nature was profoundly influenced by his life with his family, pictured in this intimate portrait of the man and his private world. 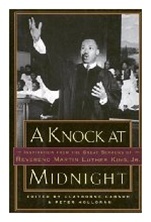 Knock at Midnight: Inspiration from the Great Sermons of Reverend Martin Luther King, Jr. This week we commemorate Martin Luther King Jr. Day with “A Knock at Midnight: Inspiration from the Great Sermons of Reverend Martin Luther King Jr.” — a book of 11 of the civil rights leader’s most powerful and spiritual sermons. This book contains the texts of his sermons — ranging from his earliest to his last one, delivered just days before his assassination. Includes his famous “The American Dream” speech, and seven sermons never before seen in print. Eleven renowned ministers and theologians of our time, including Rev. Billy Graham, Archbishop Desmond Tutu and Bishop T.D. Jakes, provide compelling introductions. Here they share their personal reflections on the sermons and firsthand accounts of the events surrounding their delivery. This week we commemorate the birth of Benjamin Franklin on January 17th. Franklin, who would be turning 303 years old this coming weekend, was one of the United States’ Founding Fathers: a scientist, politician, printer, diplomat and inventor. He also had an insatiable curiosity for cooking. “Let the gentleman who seems ignorant of the matter do us the honour of a visit in America, and I will engage to breakfast him every day in the month with a fresh variety,” Franklin told an anonymous letter writer who criticized American food. 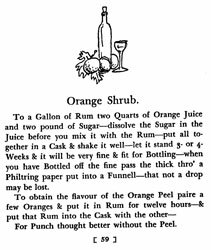 Chefs will find a splendid collection of colonial-era recipes and food tidbits discovered in Franklin’s private journals. Written in English and French with illustrations, the book sheds new light on the man who founded electricity and had a sweet tooth. Our affiliate the American Philosophical Society, a scholarly organization that Franklin founded in 1743, originally published the book in 1958. In 2006, the Society reprinted it in a special edition to celebrate the 300th anniversary of Franklin’s birth. This book also contains an essay on “Benjamin Franklin On the Art of Eating” by Gilbert Chinard; a collection of Franklin’s “Rules [for Eating] and Recipes” and an introduction by Roy Goodman, assistant librarian and curator of printed materials at the American Philosophical Society. Student bloggers at Colorado State University have more of Franklin’s excerpts. 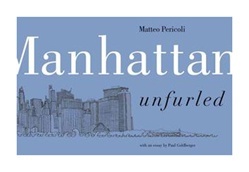 Recently “Manhattan Unfurled” was featured on CBS Sunday Morning. Published in 2001, this book is a visual love letter to the New York City that once was. Italian architect Matteo Pericoli spent two years drawing 20 bridges, 1,600 buildings and 2,830 waves — in pen without erasing or revising. This magnificent Wedgwood blue slipcase — in its original shrinkwrapping — includes two breathtaking 22-foot-long drawings of Manhattan’s East and West Sides in 24 fold-out panels. A visual key identifies landmarks, bridges and streets. Also included is a separate 50-page essay by Goldberger. You have probably seen Pericoli’s work before: the cover of hip-hop group Beastie Boys’ album “To the 5 Boroughs” and also as inspiration for the iconic New York Yankees baseball cap featuring the Manhattan skyline and Yankee Stadium. Welcome to the blog of Diane Publishing Company! We distribute the most important documents and reports produced by all three branches of the U.S. government — executive, congressional and judicial. Our inventory of more than 25,000 documents is especially strong in the areas of defense, law enforcement, business, agriculture, natural disasters, education, the environment, energy, housing, intelligence agencies, and medicine and health. All reports are printed on demand, and are kept in print forever. We also distribute over 7,000 new, but out-of-print, non-fiction books from publishers worldwide. In addition, you can find the publications and prints from our Philadelphia-area nonprofit affiliates: Academy of Natural Sciences, American Philosophical Society, American Swedish Historical Museum, Chemical Heritage Foundation, Christ Church Philadelphia, Friends of Franklin, Genealogical Society of Pennsylvania, Historical Society of Pennsylvania, John Heinz Wildlife Center, Library Company of Philadelphia and the Rosenbach Museum and Library. Check this blog for our weekly discounted book specials!